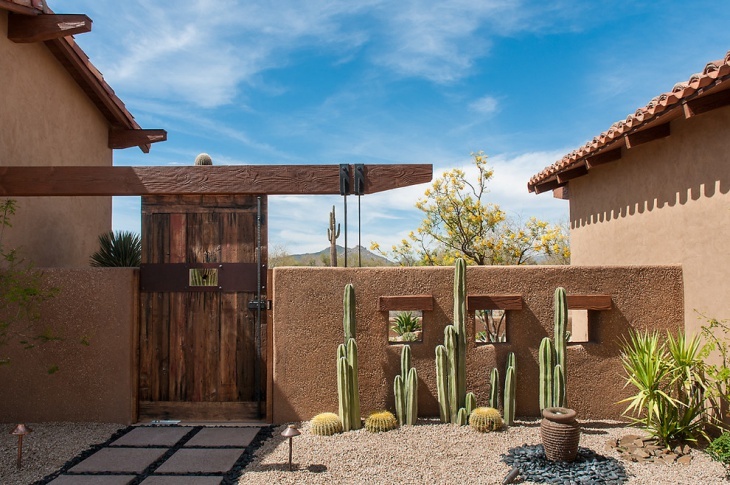 Those who live in dry and hot climates know the struggle of growing plants and flowers in their gardens. Cacti on the other hand, are a great choice for such harsh environments. They require less water and care than the average plants. Despite the thorns, there are some species of cacti that are edible and suitable for pastry making. 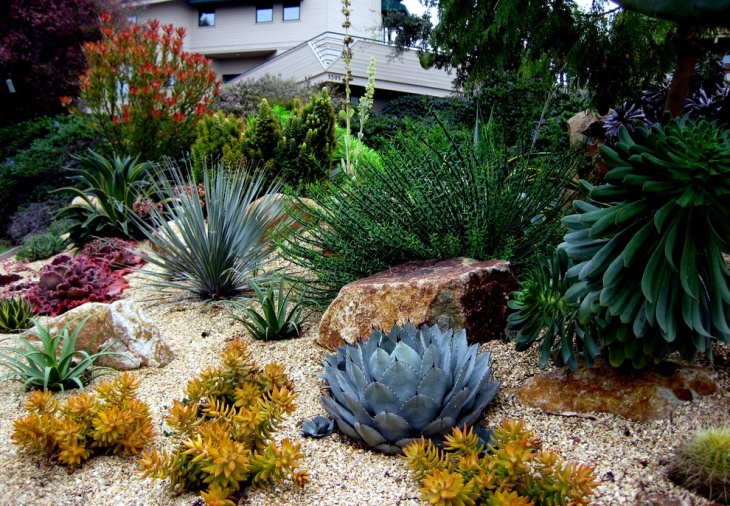 We have gathered 10 cactus rock garden ideas that might help you build a dreamy garden. You can split your garden in sections. 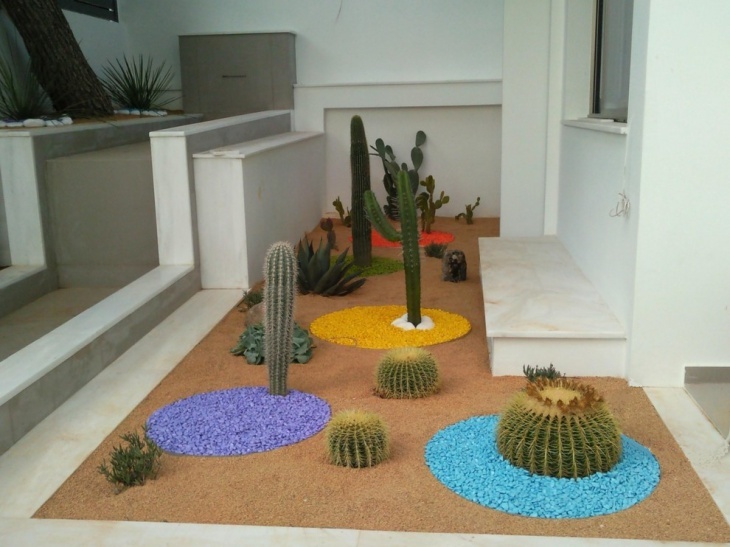 You can plant different species of cacti in every section and synthesize a well organized garden. 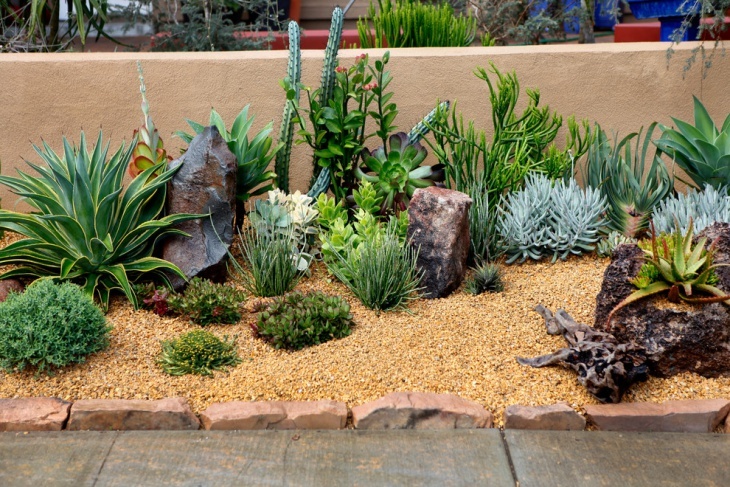 You can place your cactus in a corner of your garden and pour gravel on the ground around them. 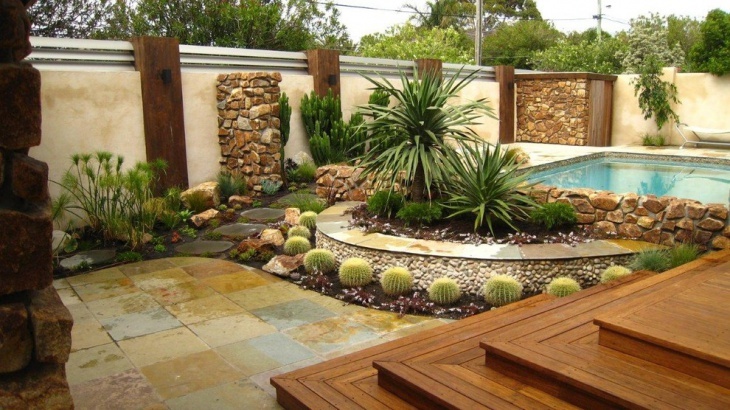 You can also style the space with a few rocks and place a few plants in pots for variety. 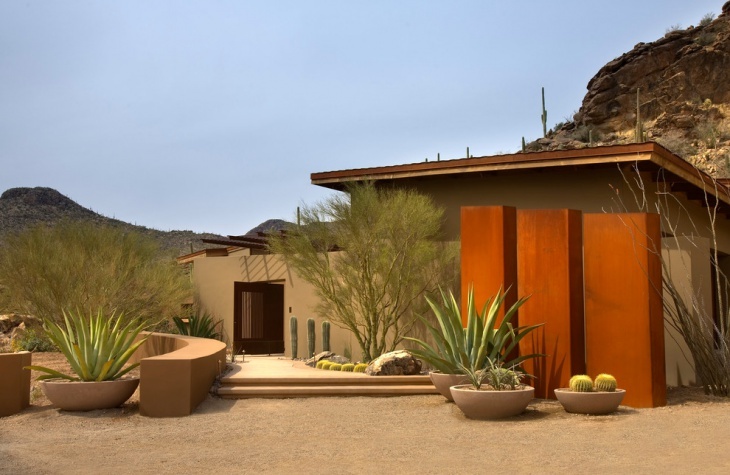 Design your landscape in a way that will bring together different materials. 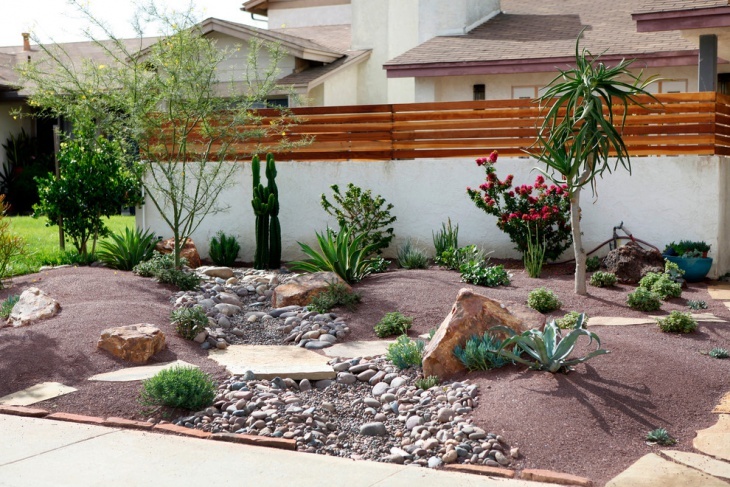 Like this southwestern flower bed that matches crushed rock chips with cactus plants and big rocks. You can divide your flower bed with stone tiles. 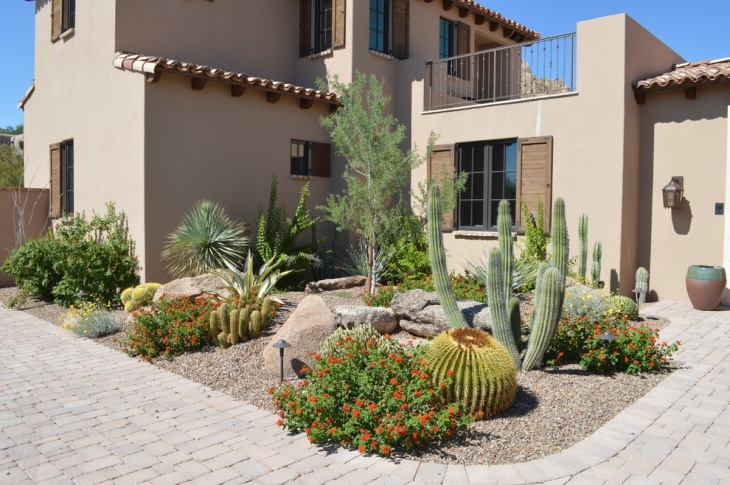 You can create an interesting landscape by planting a few cactus plants along with other plants or flowers. To create a water rock garden use large pebbles and let the water flow over them. You can leave the rest of the space covered with just soil like this decomposed granite. Build a stone path that crosses your garden. 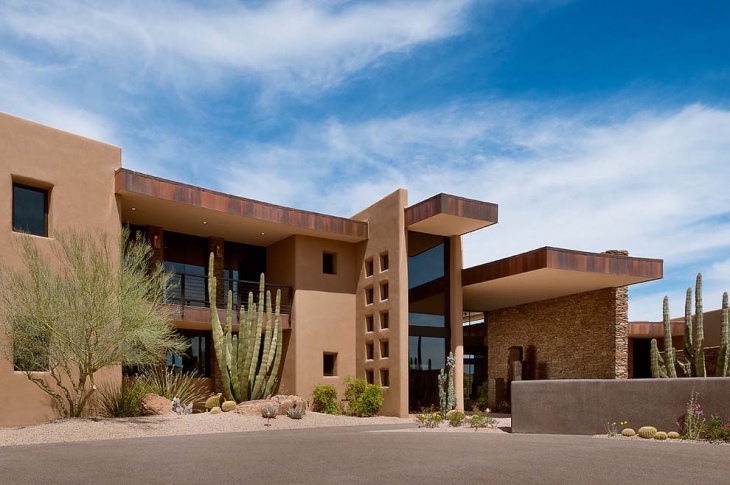 The stone plates will give an edgy feeling among the rocks and cactus plants. Small sized cactus plants are both charming and beautiful. The different colors will create a delicate look for your flower beds. You can fill the space between the cactus plants with small rocks. Spread mixed slate chips and pebbles to create this beautiful contemporary styled flower bed. Style your garden with large rocks. You can place them in a certain pattern or you can just place them in random spots. 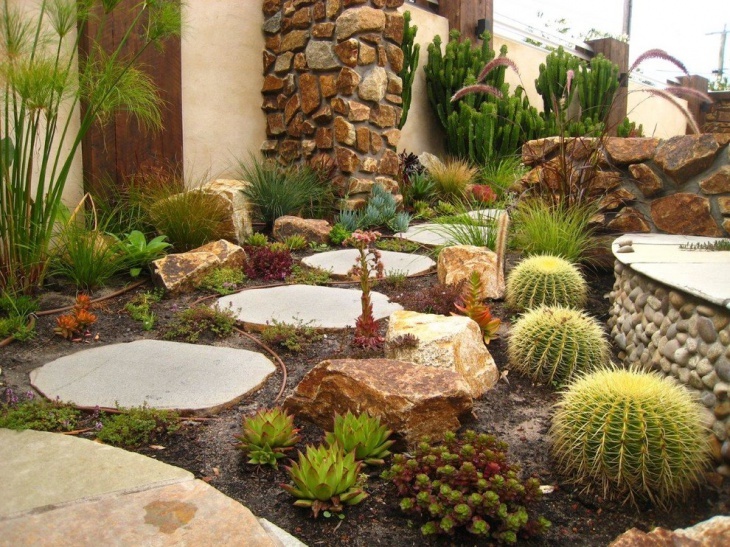 Plant different sized cactus plants among the rocks and leave the rest of the space with naked soil. 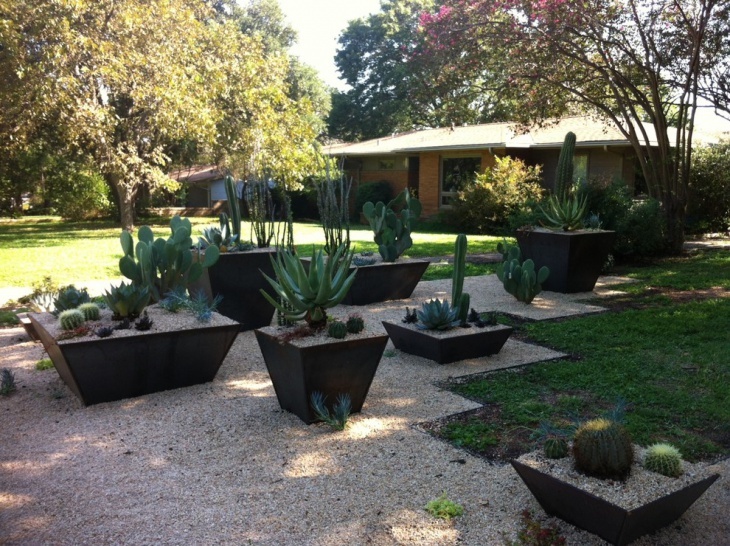 Create a fun synthesis with your cactus plants. Shape the space around them in circles or squares with colored gravel. This will give the illusion of using pots for your plants keeping a neat indoor garden. Design the layout of your garden with care. Keep in mind the climate and each plant’s needs and create your landscape by dividing your garden in sections. 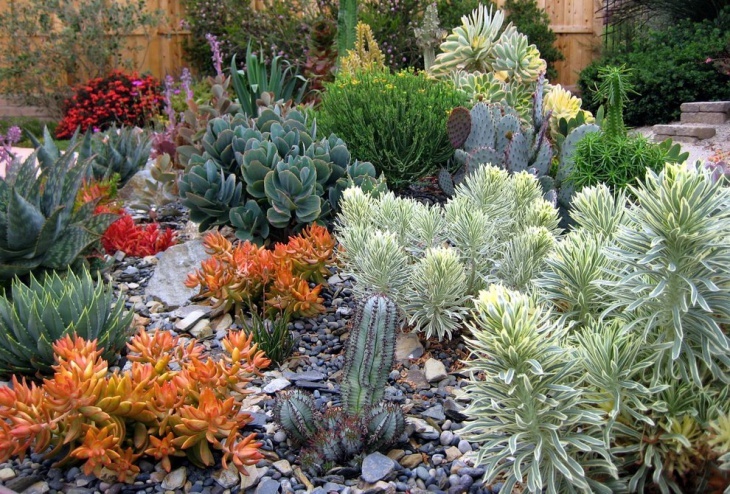 You can choose from a variety of sizes and colors for your cactus plants. Use different rocks and stones to style your flower beds. Create stony paths or small streams of water to change up the scenery. 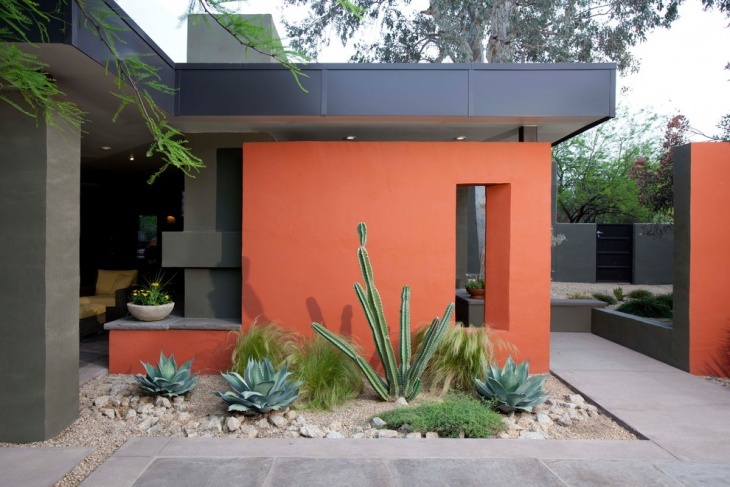 Cactus plants are a convenient way to style your garden. Their requirements for water and care are minimum and you can create many styles and setting with the different sizes and colors. 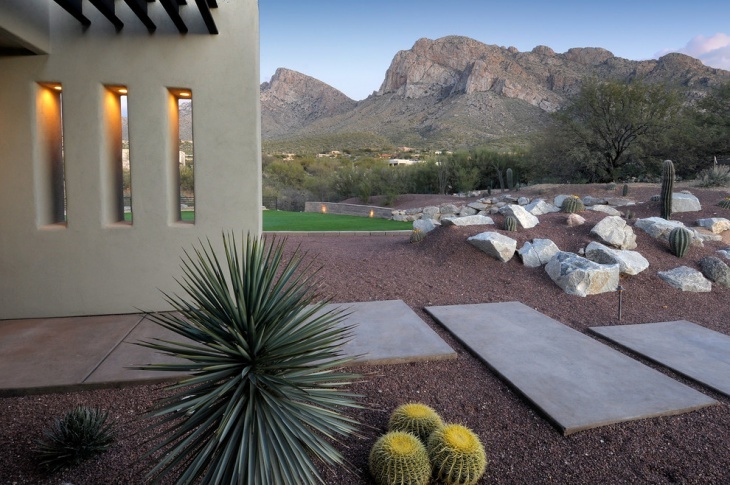 Their flowers will match the rocky terrain giving you a stylish garden to enjoy.